Dr Howard Tang graduated from the University of Melbourne in 2012 with MBBS, BMedSc (Hons), and spent a year working as a junior doctor at the Northern Hospital, Epping. He has been involved in several research projects around Melbourne, both as part of his medical training, and as research internships. These projects cover a broad range of medical specialties, including neurology, plastics surgery, orthopaedics, dermatology and anaesthetics. For instance, he has worked on investigating the outcomes of breast reconstruction for breast cancer surgery, and the use of adipogenic matrices as adjuncts for free fat grafting. He has also done research internships at the Department of Epidemiology and Preventive Medicine, Monash University; and at the Bio21 Institute. 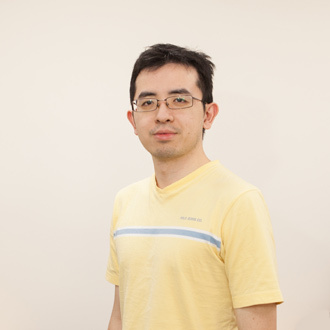 Howard has a keen interest in the mathematical modelling of biological processes, and the use of statistical tools to better understand complex biological systems. He is studying for his PhD in systems biology and will be exploring the pathogenesis of childhood asthma. Recently, Howard has been looking at the genomics and microbiome associations behind asthma, as well as unravelling the heterogeneity of the asthma phenotype using cluster analysis. It is hoped that the knowledge gained by such research will eventually allow clinicians to develop better methods of predicting, treating and preventing asthma in young children.